Regatta hosted by San Diego and Newport Harbor yacht clubs will again cover 134 nautical miles. 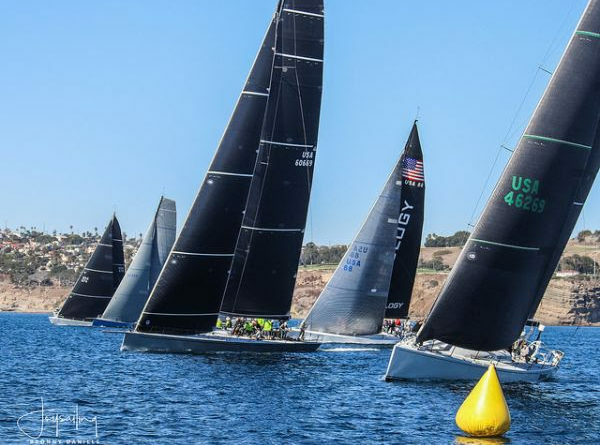 SAN DIEGO—The 2019 Southern California sailing calendar is back in action, with San Diego and Newport Harbor yacht clubs set to host the 10th annual Islands Race, Feb. 15-16. Competitors will cover 134 nautical miles as they sail from Long Beach to Catalina and San Clemente Islands before crossing the finish line at Point Loma. More than two-dozen boats are expected to participate in the Islands Race regatta, which starts at Long Beach Harbor. The Islands Race, being one of the first racing events of the calendar year, doubles as a practice run for Newport Harbor YC’s Cabo Race, an 800-nautical-mile regatta taking place in the spring. Islands Race competitors, of course, won’t be sailing for three to four days, as they would during the Cabo Race. Sailors competing in the Islands Race will instead only have one overnight at sea. “Competitors in the Islands Race will head offshore in west to northwest trade-winds that flow southward down the coast. Boats will typically encounter better sailing winds in the evening, as they get further into the trades, and round Catalina and San Clemente islands. However, as they pass to windward of these islands, they are exposing themselves to larger swells and wind waves that are not blocked by the islands,” a San Diego YC statement about the Islands Race said. Roy Disney’s Pyewacket (Andrews 70) won last year’s Islands Race, followed by John Sangmeister’s OEX (Santa Cruz 70) and Shelter Island Transatlantic Partners’ Prospector (Mills 68). A pre-race social will be held at Newport Harbor YC at 6 p.m. on Feb. 14. The awards ceremony will be at San Diego YC at 3 p.m. on Feb. 16. Wayne Terry of San Diego YC and Grant Edgcomb of Newport Harbor YC are the race’s co-chairs. Registration is available online at www.islandsrace.com.